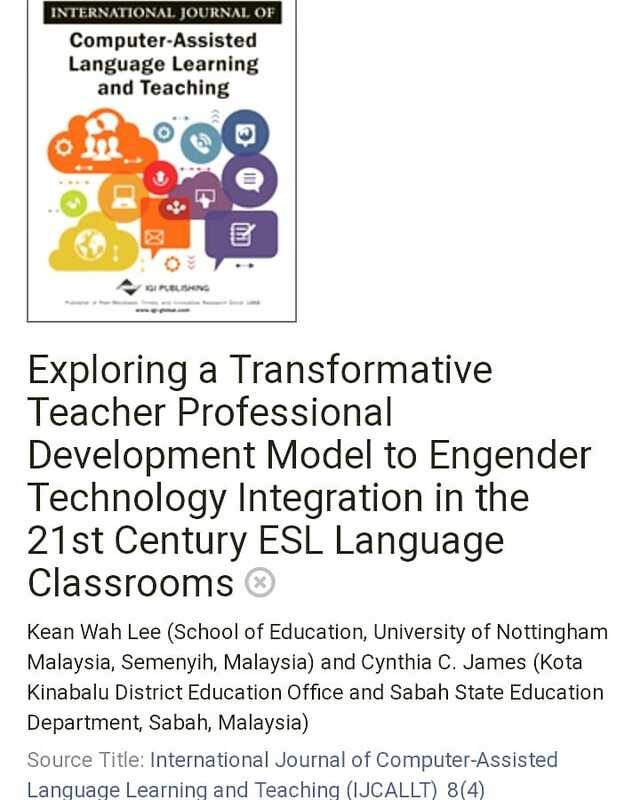 If you are an English teacher who teaches in Malaysia, you have to be very familiar with the term Teaching English as a Second Language or TESL for short, because English language is considered as the second language in our country. I teach in a very small school in a very small village in a very small town very faraway from the capital of Sabah, which is Kota Kinabalu. I can't say that the English language is the second language of my students. It is more like the third or fourth, or a totally foreign language altogether. After some years of teaching, I wonder what makes this language so difficult to be taught to the kids in my school. 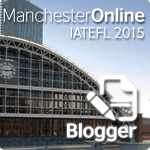 Am I still lacking in pedagogical skills, or is there something wrong with the kids? The former could be true, because there is just no limit as to how much a teacher can learn throughout her career as a teacher. But I honestly believe that the latter is not the case at all. There isn't anything wrong with the kids. I just need to stoop a little bit lower to understand the English language completely - through a totally different perspective - my students' perspective. In my quest to try to understand what my students would have to go through during their English lessons with me, I try to read up a little. I stumbled upon this Linguistic 'thing', and after a few readings, I find the question "What was the first language ever spoken?" a bit intriguing. Heheh. If you believe that Adam and Eve were the first humans, have you ever wondered what language did they use to converse with one another? I know that when my students speak Bajau, they acquire the language since birth, when they are constantly exposed to the language used by their parents and family members and the people in the surrounding where they grow up. A baby who is genetically a Bajau but raised by a Kadazan family who speaks the Kadazan language as their medium of communications would definitely be able to speak the Kadazan language by the time he reaches speaking age, regardless of his genetic and hereditary background. In short, we know that the ability to speak a language is an acquired ability, not something that someone is being born with. However, there are people who believe that the language of humans actually originated from one single source, and because of the movement of people to different parts of the Earth, the language became diversified. Thus we have all the different languages spoken by different groups of people in different parts of the world. Studies did indicate that all languages do possess certain similar characteristics that may prove that all of them did originate from one single language. If that is true, is there a way for us to find out what language is the one single language from which all the other languages have originated? In the year 664 - 610 BC, Psammethicus, an Egyptian pharaoh had conducted a very interesting, so-called 'divine-source' experiment. He raised two infants in isolation, with no contact with any humans whatsoever, except for the people in charge of looking after the babies. These carers were given specific instructions not to utter even a single sound to the two infants. By the time these two infants reached an age when they could speak, apparently the first word spoken was the word 'bekos', which is the Phrygian word for 'bread'. Thus it was thought that Phrygian was the first language. Heheh. But according to George Yule (2006), the writer of 'The Study of Language' (3rd Edition, Cambridge University Press), the infants must have heard the goats bleating (mbeeek...!) and simpy tried to reproduce the sound that they have heard orally (bekos = mbeek...??? Hmm...). A few decades later, an almost similar experiment was conducted by King James IV of Scotland, and according to legend, King James' babies spoke perfect Hebrew. Hmm. Some people say this is just, well, a legend. Is there really a way for us to know what language was the first ever spoken by humans? I think George Yule put it nicely when he writes, "If human language did emanate from a divine source, we have no way of reconstructing that original language, especially given the events in a city called Babel, 'because the Lord did there confound the language of all the earth', as described in the book of Genesis (11:19)". I was having coffee with a friend this morning when the subject of 'mother tongue' came up. My friend said it was unfortunate that a lot of Kadazan young people nowadays speak better Malay and English than they do their mother tongue. That was like a slap to my face, because I can't speak Kadazan. I can understand, but I don't think I can use the language in a conversation fluently and confidently. Then a bulb lighted above my head. Perhaps instead of driving myself insane with all these 'divine' language and confusing linguistic terms, I could try to learn a new language so that I could have a 'feel' of what my students are facing when presented with a language as foreign as English. Kadazan would be a good start, because it is supposed to be my mother tongue. No water in my house...aiso vaig...no water. I had to hit the books for my coming 'Introduction to Linguistics' mid-term test, and there was no water (or 'aiso vaig' in Kadazan) at my small quarter home. Oh, the challenges of teaching in a rural area. Then I fell asleep. In my dream, I was an Egyptian pharaoh who conducted a 'divine-source' experiment on two infants. One fine day, when I was mixing the baby formula in the baby bottles, I was picking up the almost empty water thermos (my servants forgot to fill it up) when the two cute chubby babies looked at me with their large brown eyes and uttered ever so cutely in their baby voices, "Aiso vaig..." - the Kadazan words for 'no water'. Henceforth, I shall conclude that the first language was (drumroll) the Kadazan language. Then I woke up and had to face reality. Lingustics oh Linguistics. I think I have fallen in love with you, but why oh why do you have to make my life so hard? OMG! This is so funny. If Kadazan is the first language, then I should be very ashamed for not able to understand, let alone speak my own language. Hahaha. On a serious note, I really enjoy this entry. Very informative. You are pursuing your Master Degree, aren't you? Heh heh. I'm glad you enjoy it, chegu. It was written on a crazy morning just a few hours before my Linguistic exam. wah cindy.. i like this linguistic thingy.. haha.. well teachers these days have be more creative in making students feel in love learning english.. because nowadays the english have become sabahnglish and kadaznlish, etc i heard 'iziau toi iho inside? 'and there are more..
'Iziau toi iho inside?' Hahahaha! I like it, Shirley...but I agree with you, the English language has very much been 'Kadazanised' these days. The evolution is just interesting to watch. Ahahaha! Stprada, who knows what the first language is? 'Kadazanlish' is a neat idea, will take it into consideration, stprada. Hehehe. The exam went extremely well - and yes got nodi vaig at my hamin. Uhmm, well, Gallivanter, according to the Bible Adam and Eve did utter some words, didn't they? Heavenly language, I suppose?